About BIC | Bryant Industrial Construction Inc.
​Bryant Industrial has the expertise, commitment and facilities and equipment needed for high quality Custom Steel Fabrication or Refractory jobs. For more than 40 years, we’ve been meeting our customers’ requirements, which is reflected in the many long-term relationships we’ve established and maintained. Our in-house Quality Control department ensures that each phase of each job is done the right way, the Bryant way. Our facilities and equipment gives us the capabilities to produce the high quality products that our customers have come to expect. Our plant features 55-thousand square feet under one roof with additional space outside, which houses both our Steel Fabrication shop and our Refractory Installation shop. 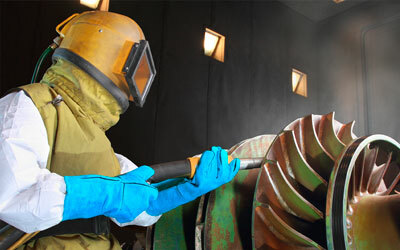 In a separate 5-thousand square foot facility, we also feature our Sandblasting and Painting shop.